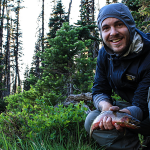 SKC is the only Tribal College providing 4-year degrees in Forestry, Hydrology and Wildlife and Fisheries. Students enjoy small class sizes, experienced instructors and opportunities to practice skills in the field. A major part of the division’s service to students is providing opportunities to enter the workforce. 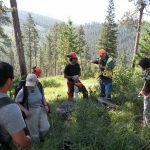 Departments within the Natural Resources Division have work study positions, as well as summer research opportunities and internships at the college. Outside the college, SKC’s Center for Tribal Research and Education in Ecosystem Sciences [SKC TREES] partners with several land management agencies, including the Bureau of Indian Affairs and the US Forest Service, to provide pre-professional internships that increase access to federal jobs in natural resource management.